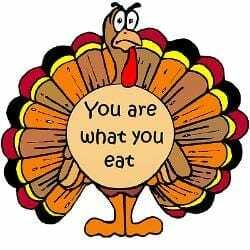 Are You Celebrating Thanksliving This Year? November?? Already?! Yep. And for me, it marks my 70th birthday. Look at that number! If it were your age, I’d think you were getting up there. But it’s just me, in essence the same me that was once 6, 13, 21, 30, 40, 50, 60, 65. The same me that once for the first time shot a basketball, hit a baseball, caught a football, kissed a girl, drove a car, opened the Bible, prayed out loud, jumped out of a plane, heard the Word of God accurately set forth, taught it to someone else, roared down a Colorado ski slope, wrote a book, climbed a sheer rock face, rode a bull, and found the divine purpose for my life. And as I have pursued that divine purpose, I have become a very different me. Do you realize how incredibly few (percentage-wise) human beings who have populated the planet have come unto an accurate knowledge of God, their Creator, as He has revealed Himself in His Word—or who Jesus Christ is? Are you aware that relatively few people on earth know what the will of God is regarding the critical issues of life? How many know that Jesus Christ is the will of God revealed? How many awaken each morning with a burning spiritual purpose for their lives? Just the fact that I understand who God is, that He is all good all the time, and who Jesus is, his daily presence with me and the guarantee of everlasting life that I have in him, is INDESCRIBABLY HUGE. Add to that the fact that I was once in the right place at the right time and was given the keys to opening the Bible and deriving the Author’s originally intended meaning, and my gratitude overflows to the end that it engulfs all the stresses of life in this fallen world. Does that happen automatically? No, I must determine to focus the eyes of my heart upon the glorious promises of God and make the choice to rejoice. It is not hard to say, “Thank you, Father,” and the more I do that, the more “automatic,” or habitual, it becomes. That process is also how my faith in God and Christ grows! And it is what energizes my faithfulness to do my utmost for His highest day after day. After all, I’m a knucklehead human like you, and I too am tempted to slack off, become weary in well doing, and shrink back due to fear or apathy. Look at the plethora of profundities in this short section of God’s matchless Word! It’s like a manual for life in one paragraph. The bottom line is that you and I are holy and beloved by God. That is why we can do everything the Lord here exhorts us to do. Note how thankfulness is integrated into the sterling qualities and attributes of the Christian life that are set forth here. Reading these verses has inspired me to do better at taking advantage of every opportunity to give thanks to God and Christ. If you live in the USA, you will no doubt celebrate our national holiday of Thanksgiving on the 28th of this month. Sure, hug a Pilgrim, inhale a turkey, and watch 16 straight hours of football, but as you do, consider how you can celebrate Thanksliving each and every day of every year until the Lord Jesus catches you up to be with him forever. 1 Make a joyful shout to the Lord, all you lands! 2 Serve the Lord with gladness; Come before His presence with singing. 3 Know that the Lord, He is God; It is He who has made us, and not we ourselves; We are His people and the sheep of His pasture. 4 Enter into His gates with thanksgiving, And into His courts with praise. Be thankful to Him, and bless His name.